Durban is a coastal city in South Africa and the third largest in the country. Evidence suggests it was populated 100,000 years ago by hunter-gatherers. It is home to the largest concentration of people of Indian descent outside India itself, and the city reflects this with a distinctly Asian feel. Since the 2010 FIFA World Cup, the city has had a huge makeover, and its sandy beaches with new waterfront, coupled with its subtropical climate, are attracting tourists from all over the globe. This surfer’s paradise, however, has a lot more to offer than its seafront locale. Don’t miss uShaka Marine World – an amusement park containing both Sea World and Wet’n’Wild. One of the largest aquariums anywhere, it boasts the most plentiful collection of sharks in the bottom half of the world, as well as a plethora of rides, exhibits and opportunities to ‘meet’ the sea creatures on show. The Durban Botanic Gardens are also worth a trip. Aside from the myriad plant species, this 2,000 square metre garden also hosts annual orchestral concerts. There are plenty of museums to enjoy in the city. Phansi Museum, the Campbell Collections, the Old Courthouse Museum and KwaMuhle Museum are all worth a visit, between them displaying a huge array of Zulu and colonial artefacts. When you’re done looking around, take a look inward at the Temple of Understanding, one of the biggest Hare Krishna temples in the world. This lotus flower-shaped building in the west of the city has an excellent vegetarian restaurant. Head to Moses Mabhida Stadium, newly constructed for the FIFA 2010 World Cup, for fantastic views of the city. Getting up to the top of the ‘basket’ arch can be a little exhausting on foot (there’s 550 steps) so a SkyCar is available. Once you get back down you can hire a Segway to explore the nearby beachfront in style. Surely the best way to indulge in the sights, sounds and smells of Durban is to take a walking tour. The following options are all free – just keep your eyes out for snakes in the grass in the city’s many nature reserves! The tours listed here are all self-guided, so there will be no-one holding you back or pushing you on. All tour routes can be downloaded for use offline via the ‘GPSmyCity: Walks and Articles with Offline Maps’ app. 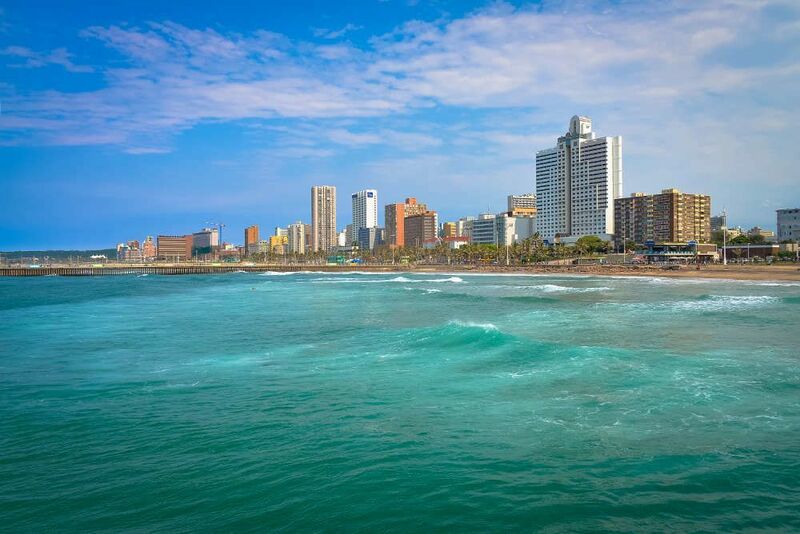 This 2 hour walk down Durban’s iconic Golden Mile takes in some of the best attractions on the seafront. Starting at the Moses Mabhida Stadium, you make your way south right down to uShaka Marine World. Creamed ice does not come as standard but will be required. As the name suggests, this tour takes in some of the most impressive temples, churches and mosques of the city. 3 hours long, it begins at St. Thomas Anglican Church and moves east, ending at the Hindu Temple. 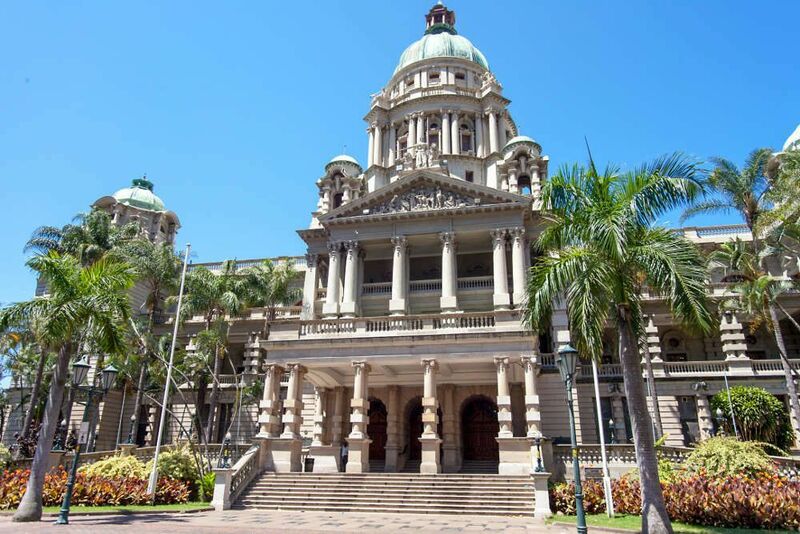 If you can bear to prise yourself just off the beach for a day, this tour of some of Durban’s most important structures, monuments and statues is well worth your time. 2 hours long, it begins at John Ross Statue and takes in 7 other landmarks, concluding at Juma Musjid Mosque. Below you can find more popular (but not free) activities and tours in Durban. Are you from Durban and want to be a tour guide? Please get in touch by submitting your details on this page!